This weekend, I got a visit from Corn & she was very Saucy! We partied all weekend, and we took more Polaroids then you can shake a stick at. 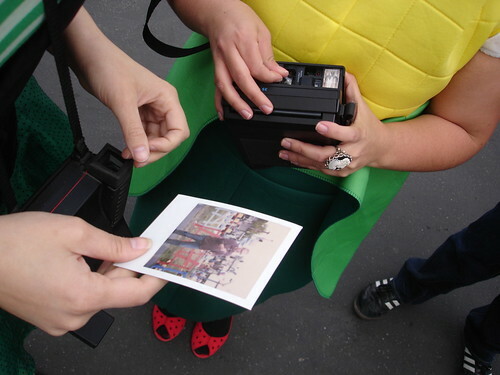 Alas, I am exhausted from all the debauchery, so I will have to re-cap later….with scans of said Polaroids. Until then, you can imagine what kind of trouble we got into at the Maker Faire, and at the Louche Absinthe party. Glad to hear it went well. Can’t wait to see the photos. YAY! Hooray for the Agent Lover and Agent Estrella adventure! I gots a lot of scannin’ to do!